Indian cabinet has approved the adoption of the new symbol after holding a competition that drew more than 3,000 entries, which were evaluated by a deputy governor of the Reserve Bank of India as well as artists and designers. 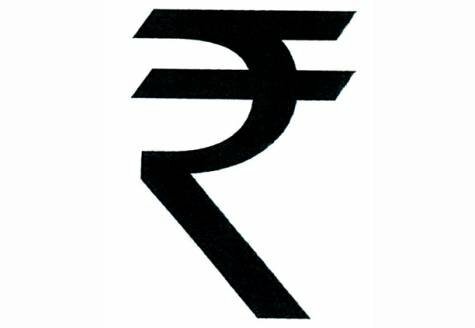 The symbol will normalize the expression for Indian Rupee in different languages, both within and outside the country. It would better differentiate the Indian currency from those countries whose currencies are also designated as Rupee or Rupiah, such as Pakistan, Nepal, Sri Lanka andIndonesia. The symbol will be included in the "Unicode Standard" for demonstration and processing of text, written in major scripts of the world to ensure that the Rupee symbol is easily displayed/printed in the electronic and print media as all the software companies provide support for this Standard. Encoding in the Unicode Standard will also make sure encoding in the International standard ISO/IEC 10646 as both the organizations work closely with each other. The symbol will also be included in the Indian Standards, viz. 13194:1991 – Indian Script Code for Information Interchange (ISCII) through an amendment to the existing list by the Bureau of Indian Standards (BIS). The ISCII specifies different codes for Indian languages for processing on computers along with the key-board lay outs. For incorporating the symbol in the keyboards to be manufactured in India, the Manufacturers Association for Information Technology (MAIT) will enjoin its membership to make requisite changes in the production processes once the symbol is notified as a keyboard standard by the Bureau of Indian Standards (BIS). The State Governments would be impressed upon to promote the use of the new Rupee symbol and proactively promote its use. The encoding of the rupee symbol in the Indian Standards is estimated to take about six months while encoding in the Unicode and ISO/IEC 10646 will take about 18 months to two years. The symbol for the Rupee would lend a typical character and identity to the currency and further highlight the strength and robustness of the Indian economy as also a favored destination for global investments.